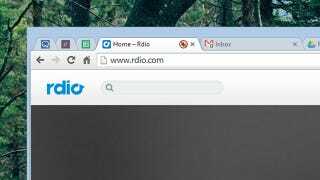 Google Chrome already alerts you to which tabs are playing audio, but you can also use these icons as mute buttons if you're prepared to delve into the browser's hidden settings file. The feature was previously available in the developer channel of the program but has now graduated to the stable editions for Windows, Mac, Linux and Chrome OS. The hidden option is available on the Chrome flags page. Enter thechrome://flags/#enable-tab-audio-muting into the address bar to find it, then click Enable to activate the feature (a browser restart is required). You can then click the audio icon on any tab, pinned or not, to temporarily silence it. It won't pause the music or video being played, just mute it. It's a useful option to have if you want to mute the audio from auto-playing adverts without closing down the tab itself. Interestingly enough, Google developers have previously gone on record as saying they were reluctant to introduce this kind of feature as the browser shouldn't have "responsibility to police content" for pages that it opens. We'll have to wait and see whether the option graduates to the Settings page proper in the future.